Man, 2016 came and went. December is the month I look forward to all year. I love the holidays and even more, the really cold, dark days. Christmas has always been my favorite time of the year. I love everything that surrounds the holiday season (except the religious part, that’s not our thing). All the activities, the giving, the kindness in the air… people are really nice and in great moods. It’s even better now as a parent, watching the kiddos get excited over everything Christmas. That said, as I get older my favorite time of the year is shifting from all of December to the last week of December… the time after Christmas leading up to the new year. It’s become tradition in the last few years for me to take the tree down Christmas night. I remember the first year I did. Brian was making dinner, the kiddos—only two back then—were playing with their new toys… I couldn’t stand the disorder anymore. All the Christmas decorations felt like clutter and the tree had no purpose since the gifts had been opened, except shedding needles for me to vacuum. I wanted that clean feeling back where everything was in its place. And so the tree taking down tradition started, and my shift to liking that last week of December the best. I should add that December was way better than November. I was in a funk in November… December my mood was back to normal and then I transitioned to hermit mode after Christmas. Hermit mode is my favorite; it always happens after a busy month with several social activities (all enjoyable). Busy included: starting school at the Riverview Learning Center, including checking off all the paperwork needed to start; Bob and Tara visiting; brunch in Seattle for a friend’s birthday; Jean visiting; a last-minute Christmas party; a cookie decorating party; an evening at the movies with the big kiddos and a friend; my traditional Seattle Men’s Chorus show; standard (and new) Christmas activities, including shopping with each kiddo for their siblings; finishing the total house purge; several days spent with friends; and day-to-day life which seems to fill up with more things than planned. I’m still hermitting. Before entering hermit mode, our busy December. Evacuation trail. 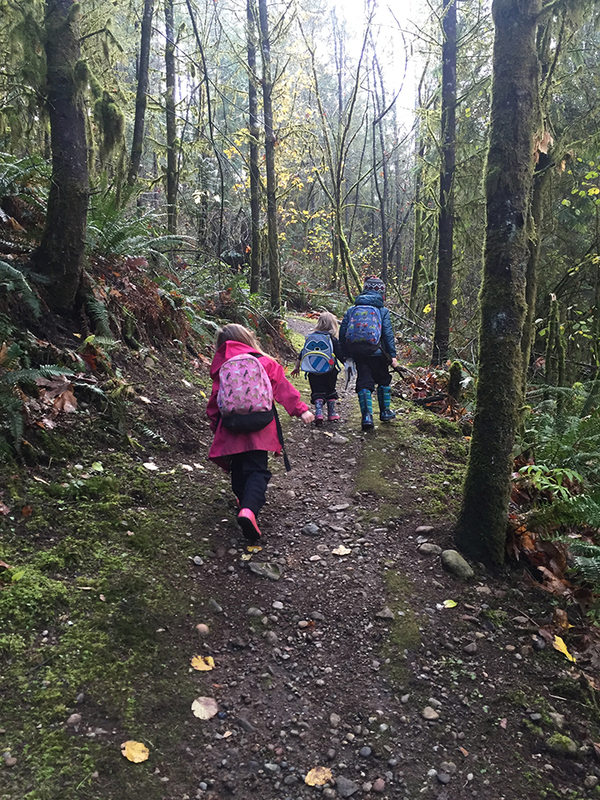 The kiddos were off from their outdoor class for the month of December. Which means we had Thursdays wide-open. 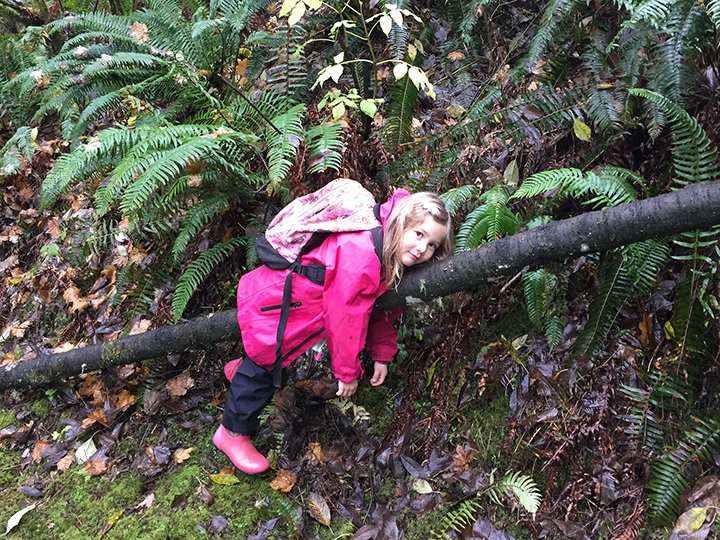 We kicked off December with a walk up the evacuation trail behind our house. Blaise and Laine had to pack bags with snacks so of course Saige had to, too. At the top is the Red Cross station—should the dam ever break—along with some containers. 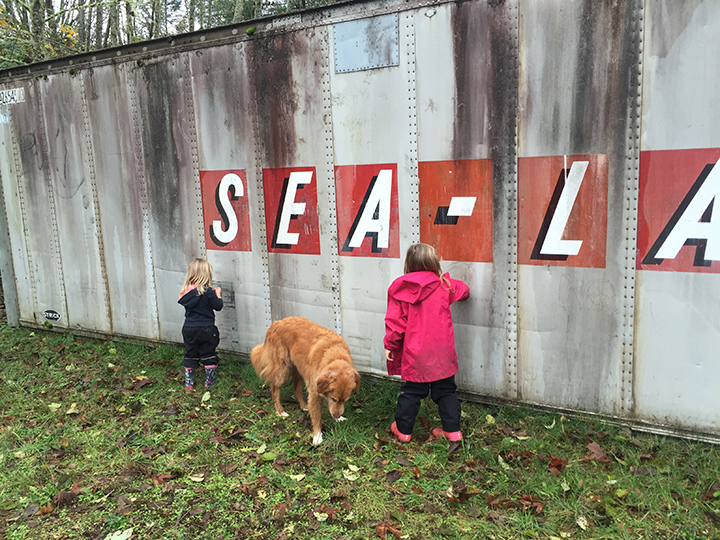 The containers are so dirty that the kiddos were making art in the layer of dirt on them. We went with our neighbor and her super awesome pup. Christmas tree farm. Have I mentioned how much I love Carnation?! 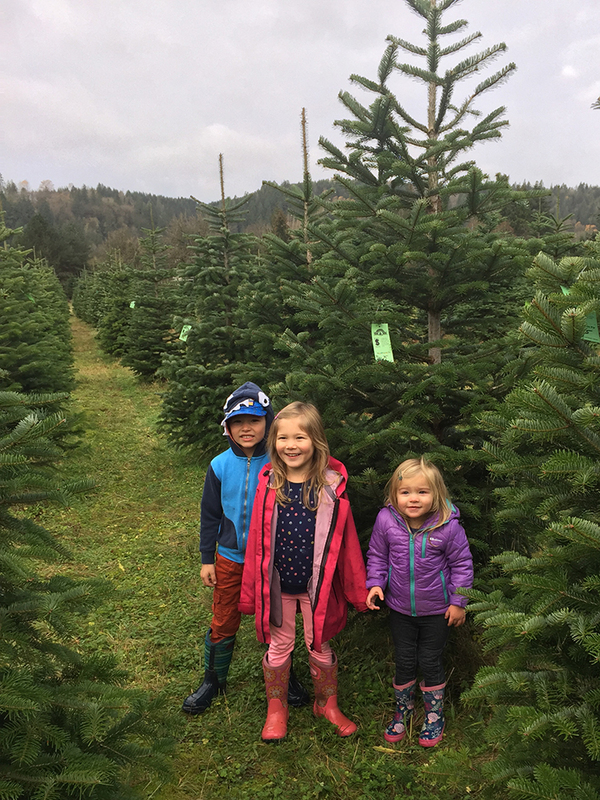 There is a tree farm not even five minutes from our house. 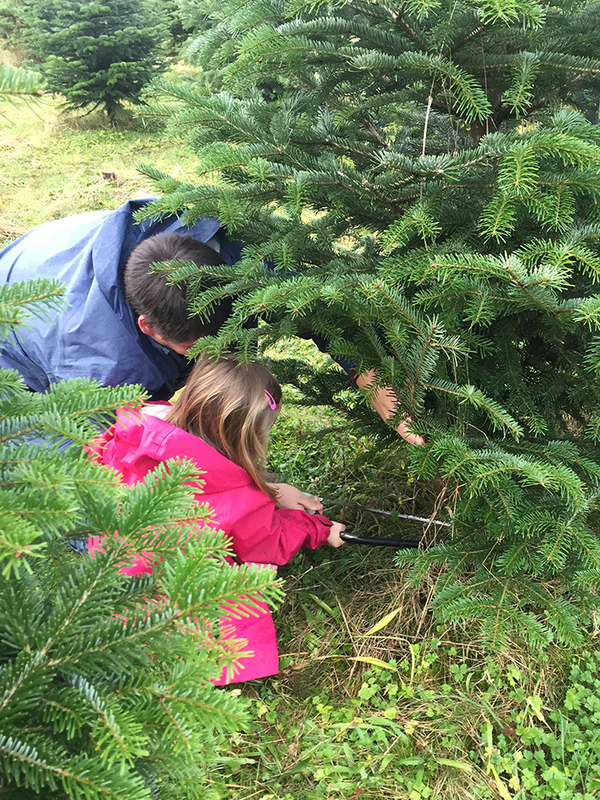 This has become our new Christmas tree farm, two years going now. I’m in the real tree camp. It’s the experience. And the smell. I like things real. We planned on getting the tree after Thanksgiving until I drove by the farm and saw how insanely packed it was. People were parking at the middle school and walking their trees there. And since Bob and Tara were coming the first weekend in December, we decided to wait to go with them. The farm opened at 9am; we arrived at 9:05am. 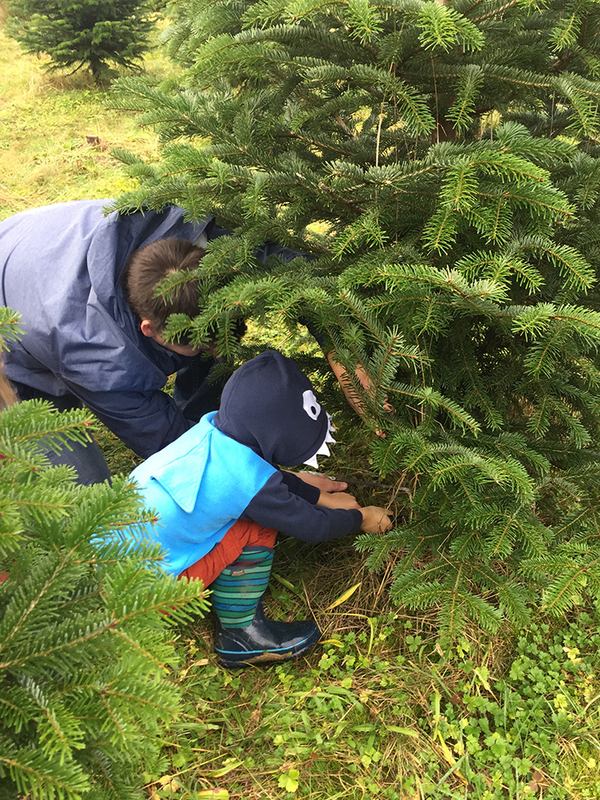 The kiddos were quicker this year picking out a tree… maybe 15 minutes total before they were helping Brian cut it down. Brian was prepared with tie downs. He has fancy tie downs that have a metal buckling system (I have no idea). The people parked next to us were getting their tree on the top of their van as we arrived, and they were still tying it on as we left. Brian was feeling pretty good about his tie downs. We were back home just after 9:30am. Vaile was there, in the backpack carrier I was wearing. 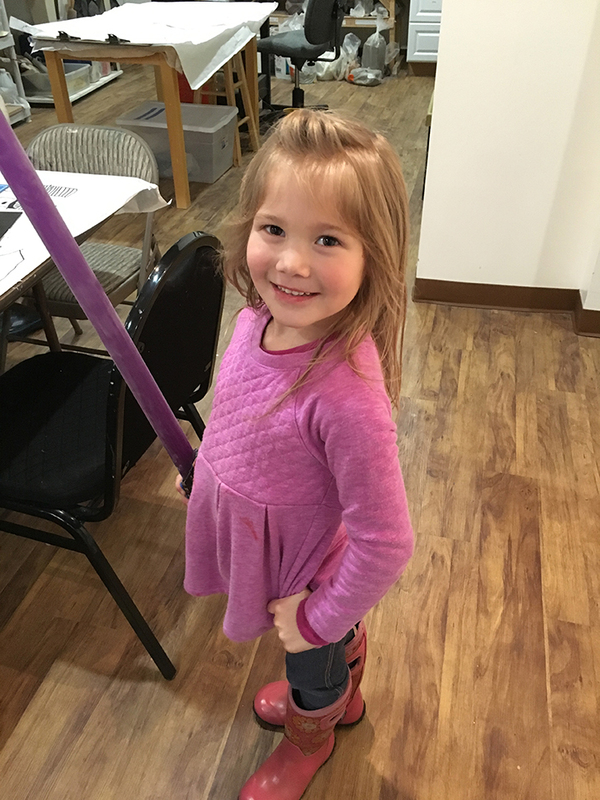 Noted for when we look back in five years and she feels even more like the fourth kiddo, haha. The Nutcracker. About once every eight years is my Nutcracker limit. It’s so boring. Which is why I was excited to find an hour show, trimmed down for a younger audience. Forty-five minutes in, the lights came on and they had an intermission. For what was supposed to be an hour show, we weren’t expecting an intermission. We decided 45 minutes was enough and left. We missed the dress your kids up memo. So, so many frilly dresses that drowned out the little ladies. Most of the little girls looked uncomfortable. There were a few who were loving their dresses, that made the ridiculous dress thing cute. The boys mostly looked dapper, except for the few who clearly didn’t want to be wearing fancy clothes. Our kiddos, in normal clothes. I didn’t even think about getting anything fancy… it was an outing to check off the list and it sneaked up on me. As pink and girly as Laine is, frilly dresses aren’t her thing anyway. Blaise wouldn’t care about wearing a nice outfit; we just don’t have any. Bonus of the night: the guy at MOD Pizza spelled my name right all on his own. That is the second time in all my years I remember it happening. First snow. It stared in after 9pm and our night owl was still awake. He was pretty excited to get out of bed and dressed for a walk around the neighborhood in the snow. Snow day. The snow was around the next morning, and even more came. The girls were able to get in on the snow action. They played in the backyard quite a while before we decided to walk up to Starbucks for some hot chocolate. I sound like a broken record but I love living in a walkable town. Hershey. 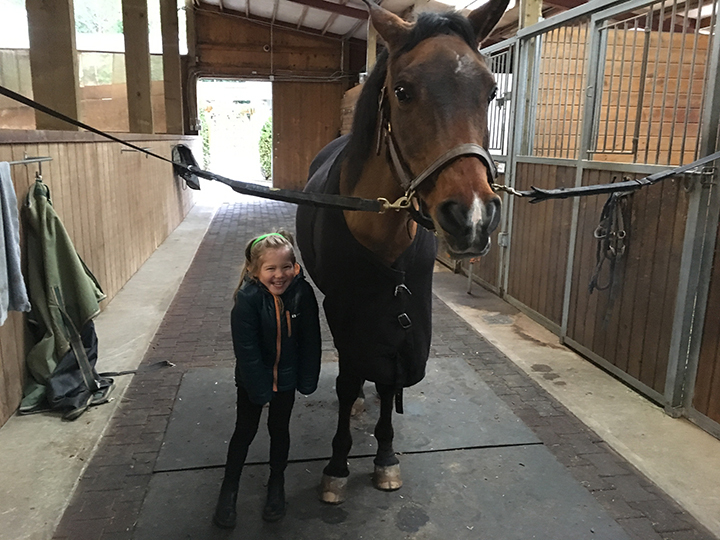 Lainey Bug and her main horse man, Hershey. Bodies. 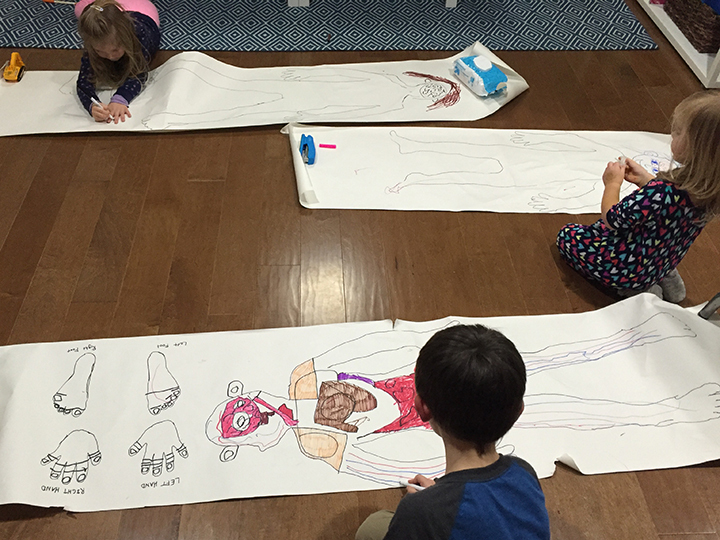 Blaise and Brian worked on drawing Blaise’s body one night when the girls were asleep. The next night he went to finish his, they wanted to make their own. Of course they did. PARADE. 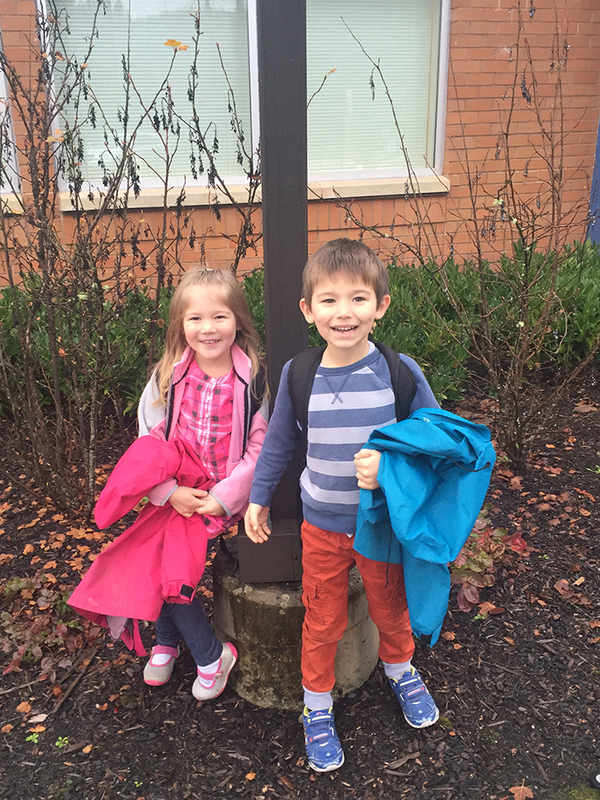 The kiddos go to yet another school. Homeschooling, haha. They are enrolled in the PARADE program through the local school district. It’s basically part-time public school. They go two half-days each week: one day is STEM and the other day is art and technology. 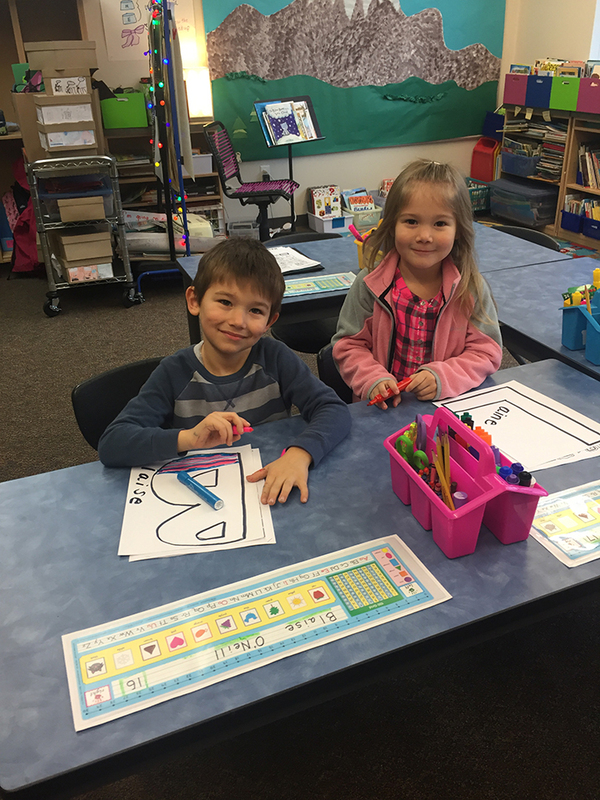 The program is a partnership between the district and homeschooling families. This was their first day… they went a week (two days) before breaking for the holidays. Cat wars. Snugs’ spot is in the cat bed on the butler’s pantry counter. Moosie stole her spot… she had to find another spot. This lasted maybe two days before Moose decided he liked being upstairs better. Teacher cards. I’m really bad at the whole teacher card holiday gift thing. Much like I’m really bad at thank you notes. I like both and I want to do them, I’m just horrible at actually doing them. I did remember to buy Starbucks gift cards the day before so there’s that. Unlike last year when I was at Starbucks a half-hour before kiddo pickup. Sad thing is, I’m typically a major planner. Some indoor place that’s like Wiggleworks. The little ones and I had time to kill before picking up the big kiddos at DigiPen. I decided to take them to an indoor play place in Redmond Town Center. I used to take Blaise and Laine to any and every indoor play place within an hour drive from home. With two, it’s easy. And without a Saige, it’s easy. Saige is well, Saige. She’s unlike any of our other kiddos. Not in a bad way. In a she’s a powerful, independent force way. We had a nice time. Gadgeteer Club. Brian caught on to a a gadgeteer club not far from our house. 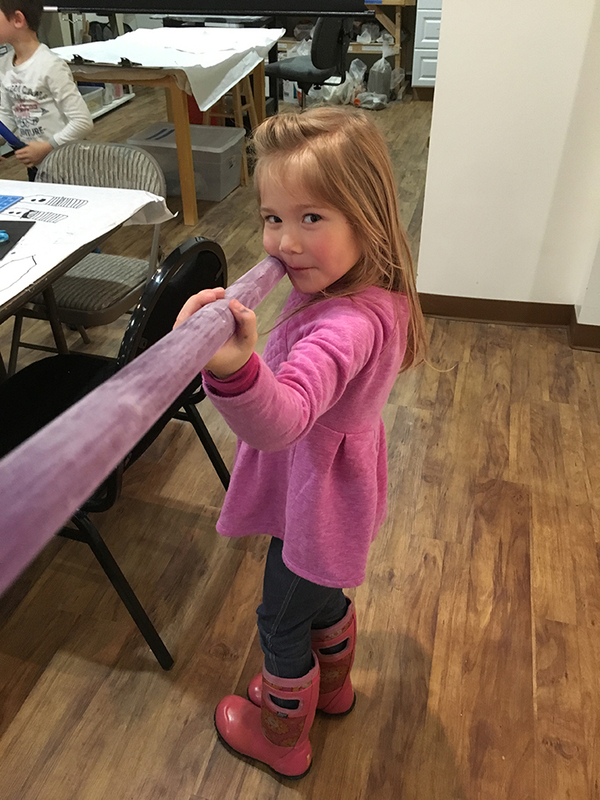 It’s a really cool program where the kiddos get to make things using art and technology. 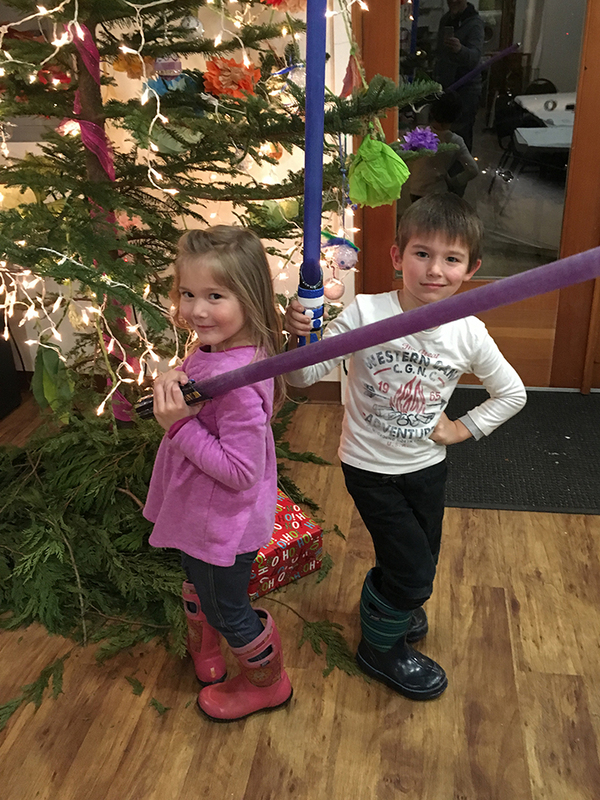 This night they made light sabers, including the light part. Christmas party. Ever since we had a Halloween Party, the big kiddos want to have a party for every.single.occasion. 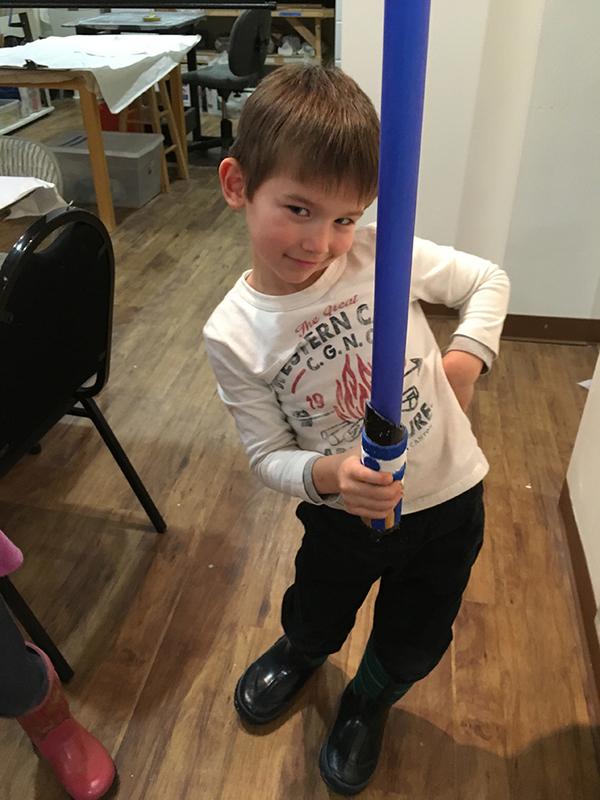 We had a low-key Friday afternoon party with some of our homeschooling friends. It was fun! 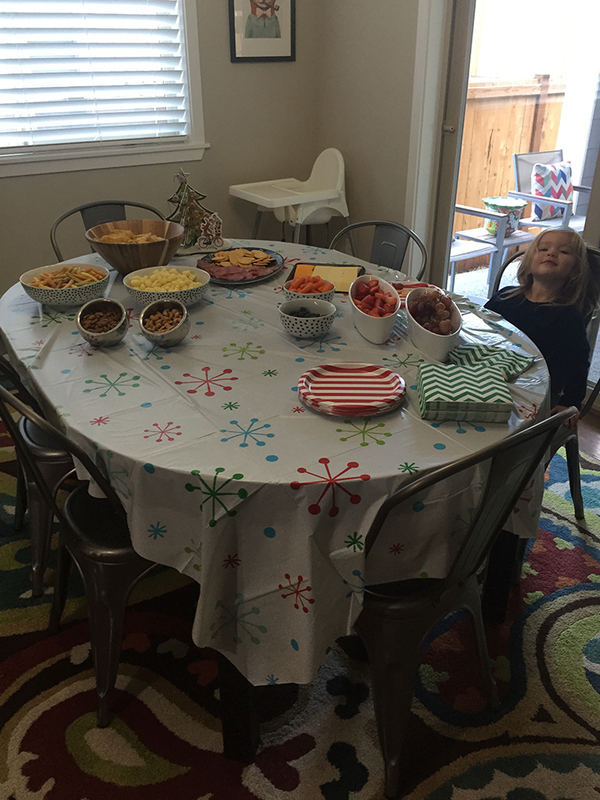 I didn’t take any pictures aside from Saige at the table before… she kept saying, “Cheese!” which I thought she meant the cheese on the table. It took me a little bit to realize she wanted me to take her picture. So there you go. The Biebs. 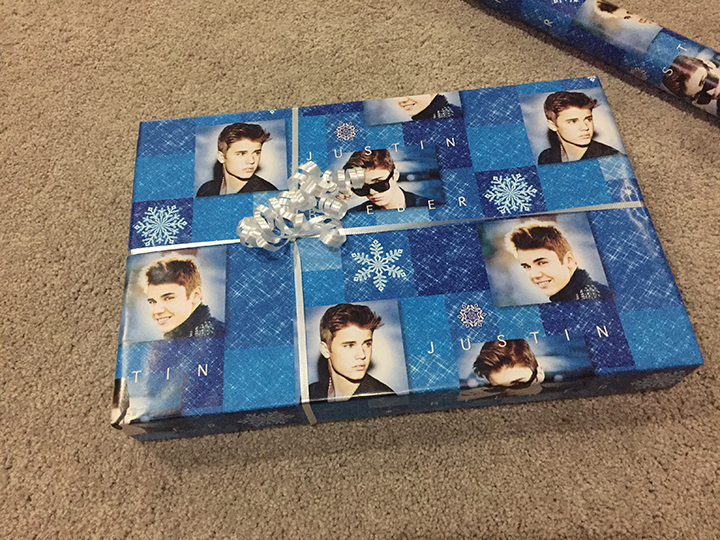 I bought this wrapping paper on clearance about four years ago. I finally used it this Christmas for Brian’s presents. It was like a gift wrapped in a gift. Carnation lookout. There was a picture of a decorated tree overlooking Carnation posted to the community Facebook group. Melvin and I set out to find this tree. It was freezing cold but we found it, and it’s a nice hike. Cookie decorating party. In keeping with a holiday-filled December and having parties for everything, we had a cookie decorating party with some of the neighborhood kiddos. I had changed out the rug under the table the day before without thinking, and it maintained its newness. Score! Sing! 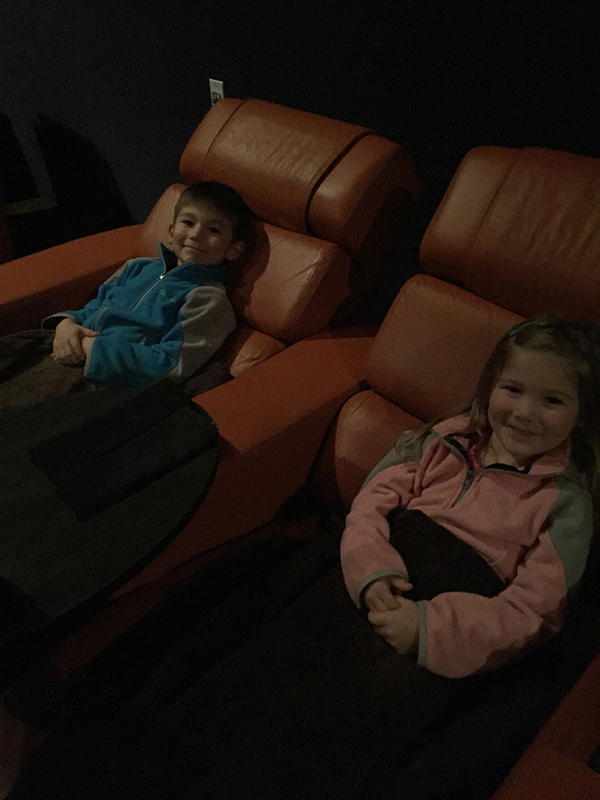 I’ll never go to a regular movie theater after discovering iPic (I don’t go to the movies often). I took the big kiddos to see Sing! before Christmas. It was cute enough. More snow. 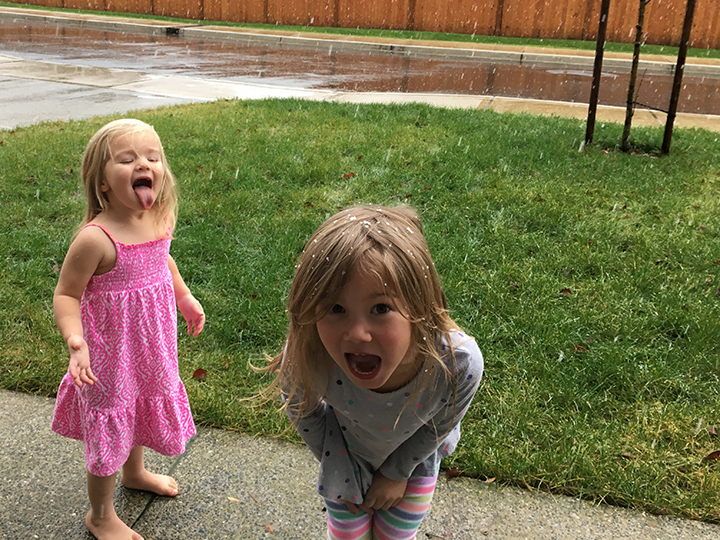 Catching snowflakes on their tongues… in a sundress for Saige. Christmas. 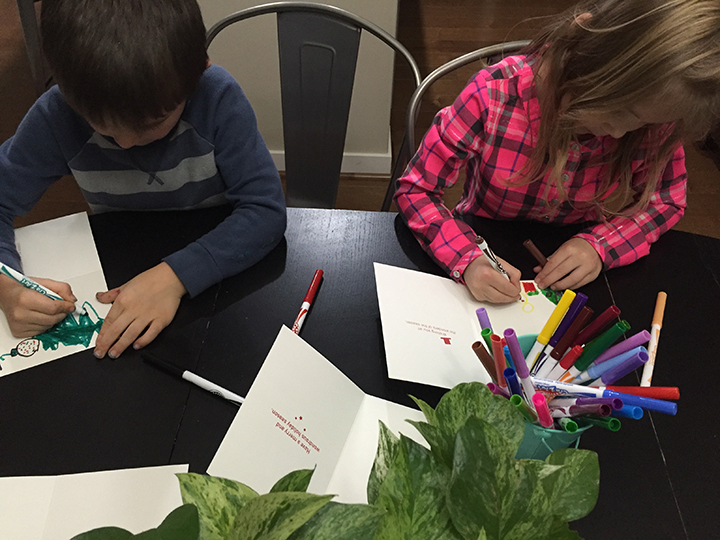 We didn’t go all out… but when you have four kiddos and five gifts for each, and each kiddo gets the other kiddos gifts, it adds up. I’m a fan of the four gift thing: something you want, something you need, something you want, something you read. I ended up getting two want gifts so five each. Close enough. Vaile woke up with a nasty cold, leaky nose and all. We ended up hanging at home doing a whole lot of nothing until I took the tree down that night. Then my purging Christmas mode kicked in. Poo Poo Point. Melvin and I ended 2016 with a hike up Poo Poo Point, along with a friend. It was a really nice way to wind down the year. Same spot, 20 minutes apart.